The members in Peterborough Diocese are all taking part in the campaign for the 16 days from November 25th – December 10th. Some branches have held vigils, some have had services using the resources from Mary Sumner House or prayer meetings and some have had displays in their churches to raise awareness. 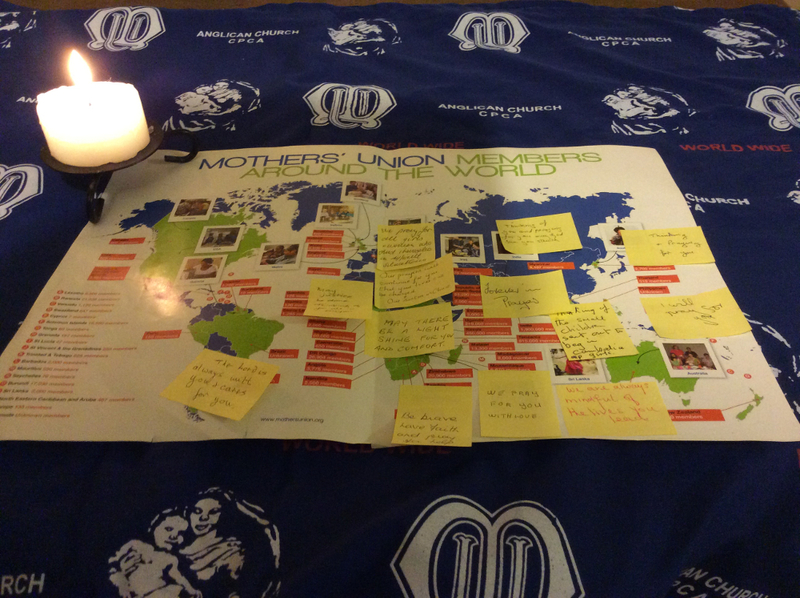 The picture shows the prayers written by Kingsthorpe branch for women and girls around the world who are abused in any way, which were then placed on the map.